I absolutely love having a studio. One of the best reasons is because it allows me to work with AMAZING people like make up and hair stylist Karli from Love and Colour. She can come in and pamper my maternity and new mother clients so that they can look and feel their best by the time they are in front of my camera. It also allows me to keep an ever growing wardrobe for my clients. This is also especially helpful for my clients who are expecting because not everyone wants to go out and buy a special outfit for their session, so I make it easy for them to just come shopping in my client. And, like in this client's session, we can do more than one look. The outdoor images were all shot within a 5 minute walk from my studio. It's nice to have such flexibility all in one location. After our more 'intimate' session, her 3 older children joined her to celebrate the impending arrival of their newest brother or sister. I cannot wait to meet this little baby later this month. 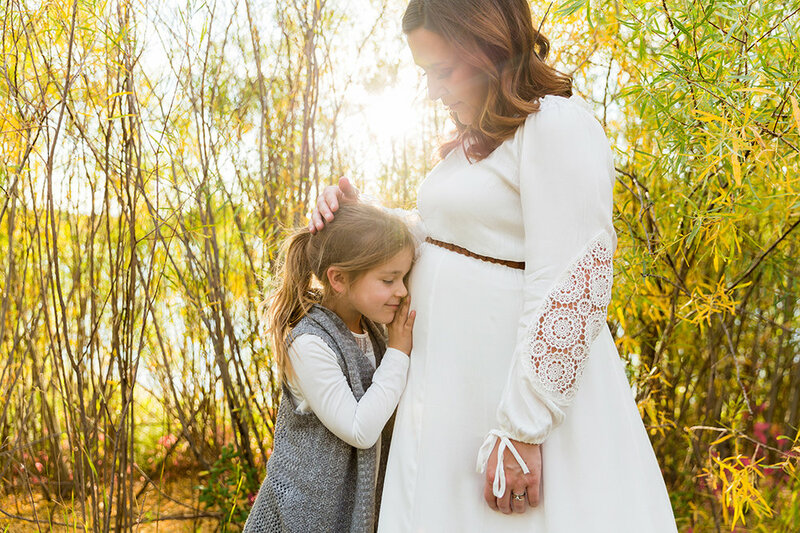 If you are expecting, I'd love to hear from you and help you book your day of pampering and creating beautiful imagery.